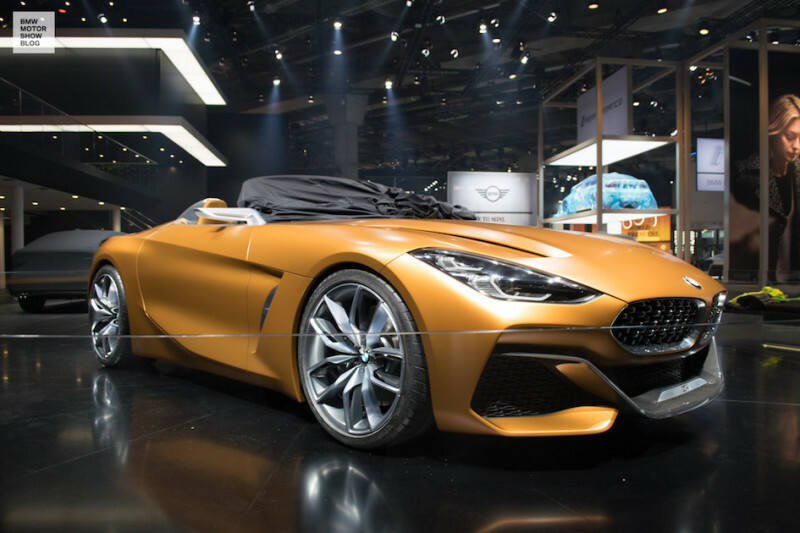 Naturally, the spectacular Concept Cars are the undisputed superstars of the IAA 2017 – and of course being a celebrity implies a certain prima donna affectation. 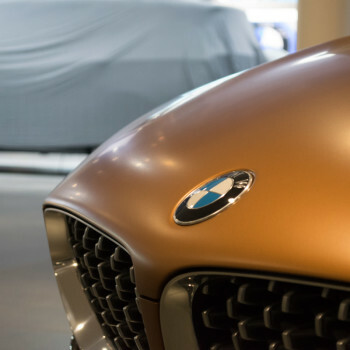 These precious unique specimens arrive later than the rest and are treated with the best of care. 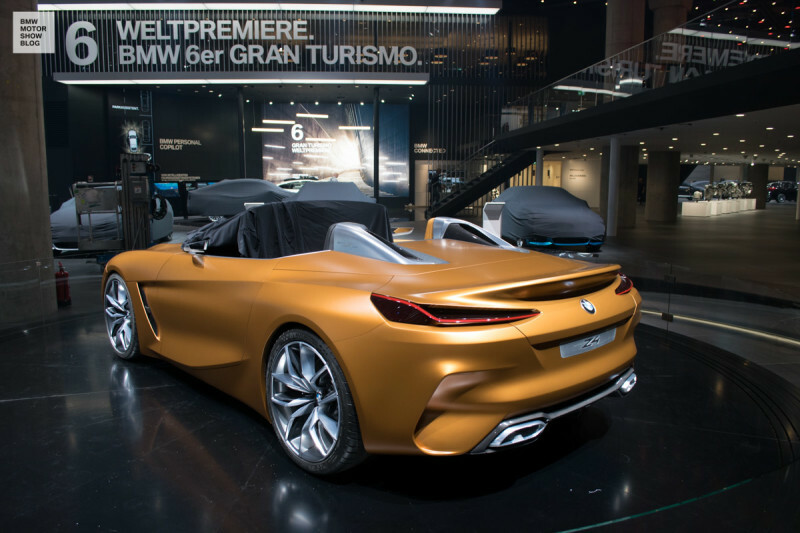 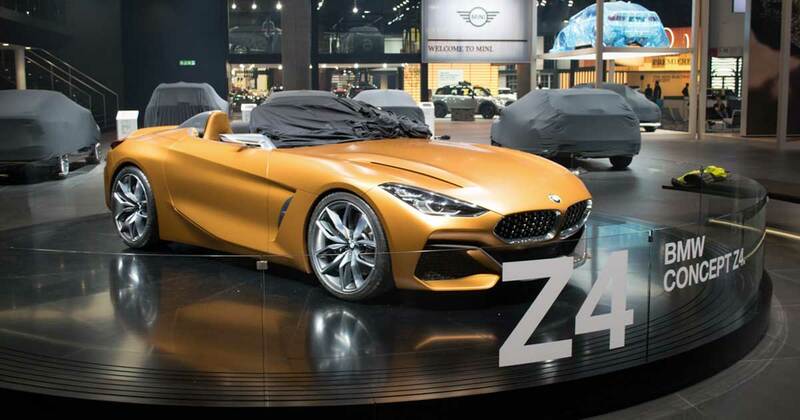 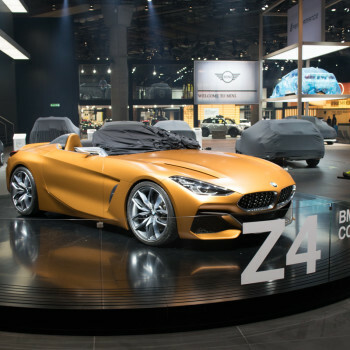 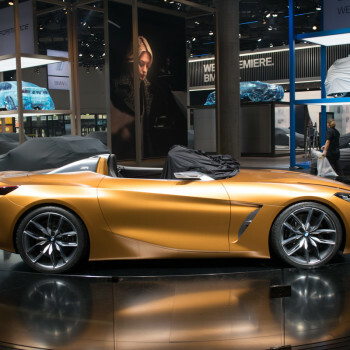 This is also the case for the new BMW Concept Z4, which – as our video shows – drove to its designated place in the center of Hall 11 at walking speed and with great precaution. 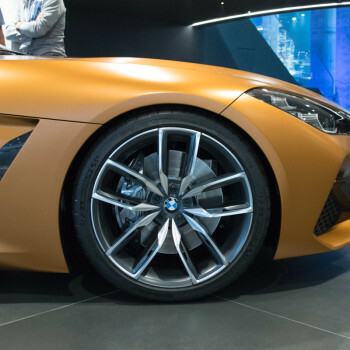 All on its own and with an enchanting sound – even if fans must make due without information on the motor and its performance at this time. 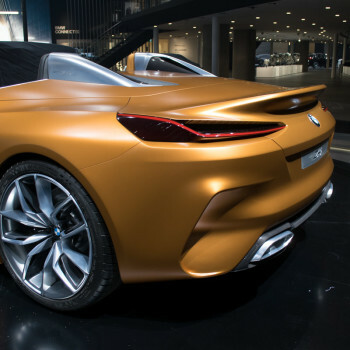 However, the expressive Frozen-finish “Energetic orange” is wonderfully enhanced by the spotlight of the colossal hall. 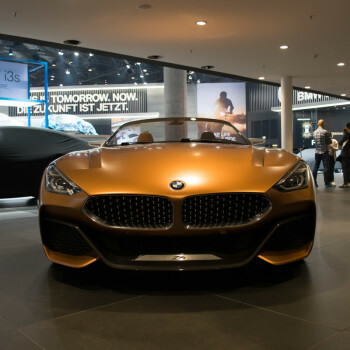 “The BMW Concept Z4 is an absolute driving machine: By reducing it to its substance, all aspects of driving joy are directly available for an unparalleled experience. 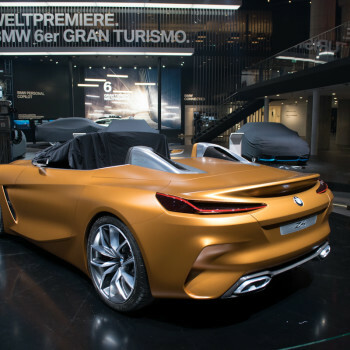 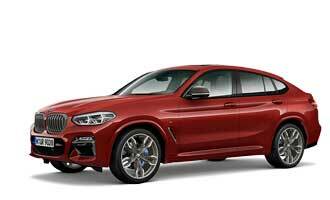 This is absolute freedom on four wheels,” explains BMW Group Design Chef Adrian van Hooydonk. 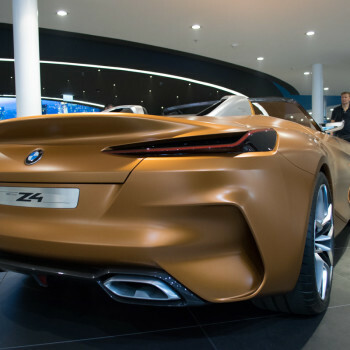 Clear, dynamic lines, the competitive front end and a powerful rear with narrow L-shaped LED-taillights bear witness of the performance of the rear-wheel driving two-seater, even when parked. 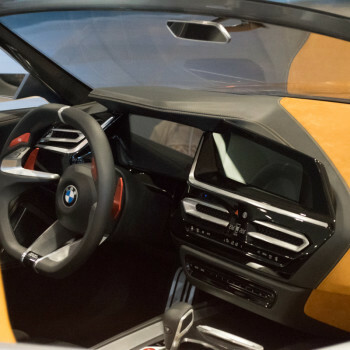 The interior, which largely mirrors the color of the finish, contains clearly driver-oriented instruments. 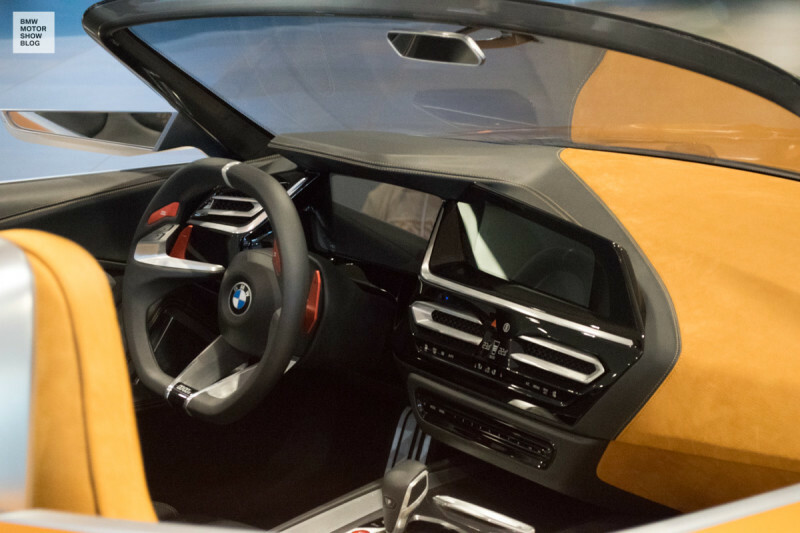 The two generously sized Info-Displays give the impression of a single unit, relevant transport information is relayed by the Head-up Display in the field of view. 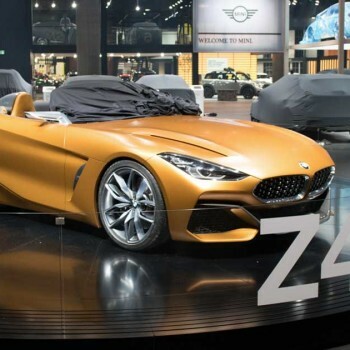 In the course of the next year, BMW will present this production model as the authentic and brilliant heir of the agile hardtopped roadster Z4 E89.